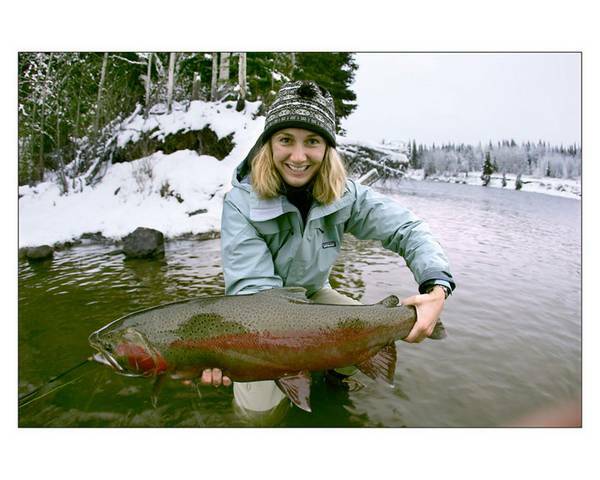 Nicole Arakawa with a nice looking Babine Steelhead! Ski, Bike, Photo Nice photo! Hey - isn't that bigger than the one you wrangled? Who wears the pants in yuor house, anyway!!? Always the last to know That'a a nice fish.